Where should oxd be deployed? oxd-https-extension does not work because of a PROTECTION error. How can I view data inside oxd database manually without oxd-server? Client expires, how can I avoid it? How can I use oxd with AS that does not support UMA ? I got a protection_access_token_insufficient_scope error when calling oxd-https-extension. It worked perfectly in 3.1.3. What should I do ? I got a Failed to obtain PAT. error in oxd-server.log. How can I solve it? oxd is a mediator: it provides APIs that can be called by a web application more easily than directly calling the APIs of an OpenID Connect Provider (OP) or an UMA Authorization Server (AS). By default, oxd-server must be deployed on the same host as the target web application(s). With the oxd-https-extension enabled, applications can call oxd over the web, enabling a central oxd service for many applications. No. 2FA is implemented at the OP, not the client. Gluu offers community support and VIP support. Anyone can register and enlist community support on the Gluu support portal. For guaranteed responses and priority support, learn more about VIP support. To fix it, increase the authorizationCodeLifetime oxauth configuration value as explained here. 2018-04-04 20:03:24,855 ERROR [org.xdi.oxd.server.service.UmaTokenService] Please check AS(oxauth) configuration and make sure UMA scope (uma_protection) is enabled. 2018-04-04 20:03:24,855 TRACE [org.xdi.oxd.server.service.IntrospectionService] Exception during access token introspection. After hitting the "Connect" button, you will be able to view/modify data manually. Please be careful not to corrupt the data inside. Otherwise, oxd-server will not be able to operate in its normal mode. register_site or setup_client commands generate clients dynamically and thus those clients have their lifetime set. Lifetime of the client is set on the OP side. It is possible to extend the lifetime by calling the update_site command and set client_secret_expires_at to the date of your choosing. This field accepts any number of milliseconds since 1970. You can use https://currentmillis.com/ to convert the date to milliseconds. For example Fri Jun 15 2018 12:28:28 is 1529065708906. Note that setup_client creates 2 clients up to 3.2.0 oxd-server version, so if you need to extend the lifetime of both clients, you have to call update_site with oxd_id and setup_client_oxd_id which are returned as response from setup_client command. Please set uma2_auto_register_claims_gathering_endpoint_as_redirect_uri_of_client in oxd-config.json to "fails." Otherwise, you may get no_uma_discovery_response if UMA is not supported on the AS side. In 3.1.4 we have forced users to have the oxd scope associated with protection_access_token. If it is not present, then oxd rejects the calls. During client registration (via /setup-client or /register-site commands) make sure that you have client_credentials as value of grant_type. 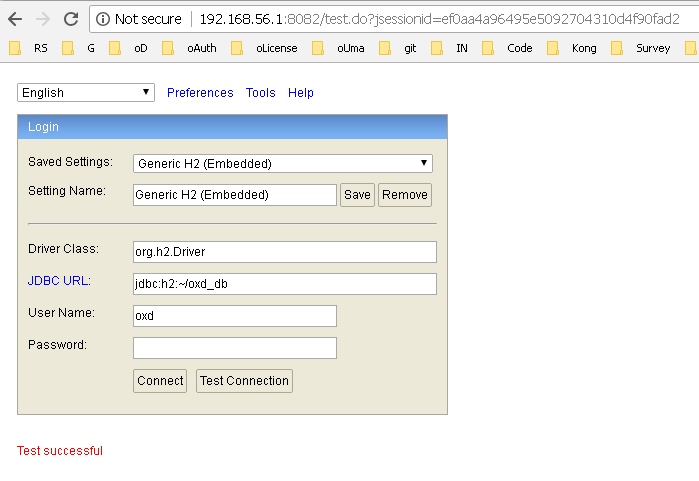 Without it oxd will not be able to obtain UMA PAT because it is using client credentials for it (e.g. grant_type: [client_credentials, authorization_code]).